Growing up in Texas, it wasn't unusual to see caravans of used cars of a certain "vintage" being towed or driven to Mexico to be sold to consumers on the other side of the border. Especially popular were Chrysler minivans of the early 1990s. That's all going to change now that Mexico has limited imports to cars that are not older than 10 years, but also not younger than ten years. That's right: 1998 is your golden year. This was done under pressure from the Mexican Association of Automobile Distributors (MAAD), which was upset over losing new car sales. 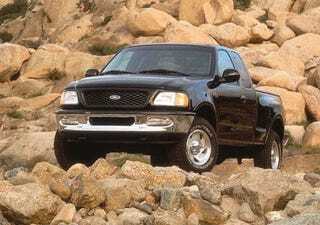 The most popular purchase is, not surprisingly, the 1998 Ford F-150.